The Northern Gulf of Mexico Sentinel Site Cooperative, Gulf of Mexico Alliance, and Gulf of Mexico Climate and Resilience Community of Practice are proud to announce the launch of Gulf TREE . Gulf TREE (Tools for Resilience Exploration Engine) is a search engine with a decision-support tree framework designed to match users with relevant climate resilience tools quickly, confidently, and easily. The goal is to make the process of finding a climate resilience tool that’s actually relevant to you simpler – Gulf TREE will sort over 100 tools (with more being added all the time) to find one that meets your criteria. Available tools span a variety of issues and sectors, from sea level rise to human health. This release follows nearly two years of preparation, including two rounds of stakeholder workshops across the Gulf Coast. Gulf TREE is relevant for users of all experience-levels and for various scopes of work. 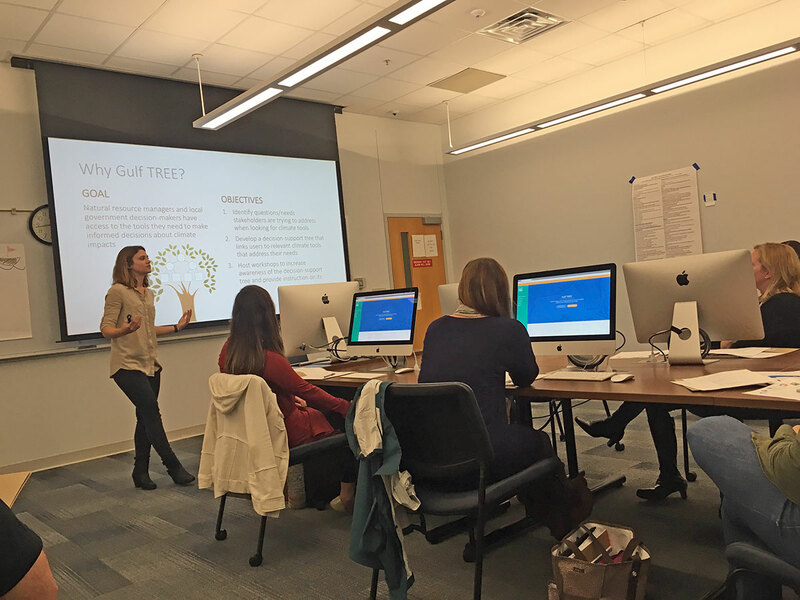 To ensure these goals were met, nearly 200 prospective end-users from across the stakeholder spectrum and with varying tool experience gave input during workshops on what they wanted from Gulf TREE. They also tested the beta version of the site to identify any bugs or opportunities for improvement. Updates inspired by stakeholder feedback during beta-testing will occur in early March.